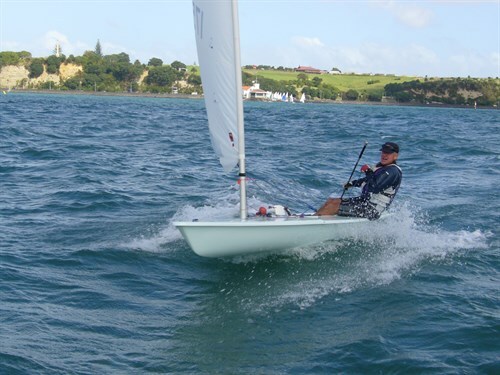 A mixed bag for NZ Lasers at the ISAF Sailing World Champs in Santander, Spain. This regatta was the first stage in qualifying national spots for the Rio Olympics. The NZ Yachting team were fortunate to qualify us for all classes we entered. Sam Meech came out top NZL - making the gold fleet and 9th overall. Andy Maloney was on target with one bullet but had his worst result in the 7th race, keeping him just out of the gold fleet for the first time in a while. See Andys blog. Mike Bullot finished in 30th despite two top 5 results. Sara Winther had a heartbreaker, finishing 11th, just outside the crucial top 10 benchmark. Peter Burling and Blair Tuke having an outstanding regatta in the 49er to have won before the medal race was sailed. Polly Powrie and Joh Aleh with silver in the 470. Top spot slipped away when they were caught on the wrong side of the course in the medal race. Alex Maloney and Molly Meech fisnishing 12th in the 49erFX - a sign of how competitive the other crews have become in the last year. Josh Junior and Andrew Murdoch 5 and 6 in the Finn. The NZ Finn spot for the Olympics is being very closely fought. Gemma Jones and Jason Saunders 5th in the relatively new Nacra 17 class. Jon-Paul Tobin 16th on the RS:X windsurfer. And Natalia Kosinska 21st in the womens RS:X. So some great results, but plenty of work to do. It sounded like pretty touch conditions to be consistent in. Thanks to you all for the continued support! The 2014 Laser Radial Youth World Championship has wound up in Dziwnow Poland. Team NZL gaining a lot of valuable international experience in the large fleets. Trent Rippey and Alexandra Nightingale had standout performances finishing just outside the top 10. Very good and varied sailing and very competitive. I think all the Kiwi sailors would agree it was a tough event, a small mistake would lose you 10 or 20 places very quickly. That's big fleet sailing and that's why the experience is so important for them. I have moved to Auckland earlier in the year but my boat is in Queenstown! If anyone is able to help with relocating at any time I am happy to help with the costs etc :). Any help is appreciated, cant wait to get back on the water! Seven NZ sailors competed in the SPLM at Royal Queensland Yacht Squadron over 4 days - 24-28 July. Light winds and fine warm weather were generally the order of the day, with only one of the seven races completed having more than 8 knots of breeze. The wind was generally light and fairly shifty on shore breezes, with the exception of one race on Sunday completed in a very shifty SW breeze before this died and the sea breeze filled in later in the day. It was a very successful regatta for the NZ team with Matt Blakey taking out the Standard Rig overall and Scott Leith victorious in the Radials. Other sailors having good regattas were Bob Blakey, 4th overall in the Standard Masters and first GGM, Nick Page 5th overall and first GM and Greg Wilshire, who had a great regatta but was unfortunate to get score OCS in the last race after another strong result. RQYS is a magnificent venue and the regatta was excellently run both on and off the water. It was certainly no hardship having to put up with the 24 degree daytime temperature after leaving the wind and rain behind in Auckland and I would recommend it for a mid winter break to anyone thinking of competing in future years. Lachie Grimwade from French Bay YC had a strong regatta at the Australian Midwinter Youth Championships 2014, held at Royal Queensland Yacht Squadron Manly Brsibane. Two firsts on day 1 racing set him up well, finally finishing 4th in the 39 boat fleet. Jordan Makin from Gosford Sailing Club won the event. Masters sailors will be at the same venue in a few weeks for the South Pacific Laser Masters. After a 4 year layoff Mike Bullot has slotted back into elite Laser competition with a 3rd in the Delta Lloyd regatta at Medemblik in May and now a 6th at Kieler Woche in Germany.